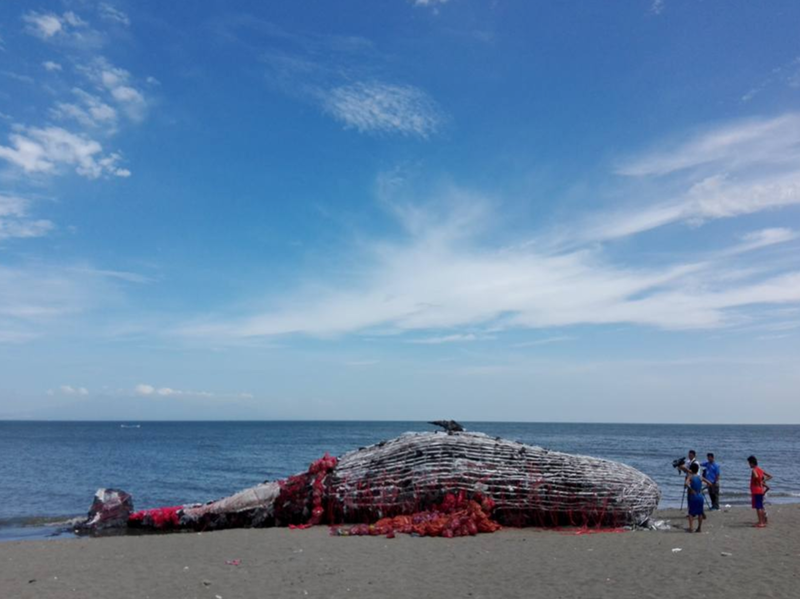 Greenpeace Philippines recently created and installed a giant whale art piece made out of plastic pollution at the Sea Side Beach Resort in Naic, Cavite. The 50-foot installation will be on display until May 14. "Listen to the dead whale’s wake-up call, look closer and see what plastic pollution does to the ocean," writes Greenpeace Philippines. "We hope that this installation encourages the public to take action and #RefusePlastic." Plastic is a material made to last forever, yet 33 percent of all plastic, such as single-use water bottles, bags, and straws, are used just once and thrown away. Over 260 species, including invertebrates, turtles, fish, seabirds, and mammals, have been reported to ingest or become entangled in plastic debris, resulting in impaired movement and feeding, reduced reproductive output, lacerations, ulcers, and death.